I did a little research for you, so lets insert the average annual prices into the Natural Gas, Oil, and Propane equations to see if the investment in a heat pump will make sense during replacement. As you can see, if installing a 96% Natural Gas furnace, the Break-Even COP would be 6.8. Based on the Heating Performance Data for Goodman's most efficient DSZC18 Heat Pump, it would need to be above 65F for the cost to operate the heat pump to be cheaper than the Natural Gas Furnace (see data at bottom). Even if I installed an 80% furnace, the break even COP is still at 5.7, much too high to realize a savings. Not all homes in MA are lucky to have access to a Natural Gas supply. There are more than enough Oil Tanks out there to keep the hundreds of delivery companies busy during most New England winters. As you can see in the equation for oil, a resulting break-even COP of 1.17 indicates a significant savings can be realized. 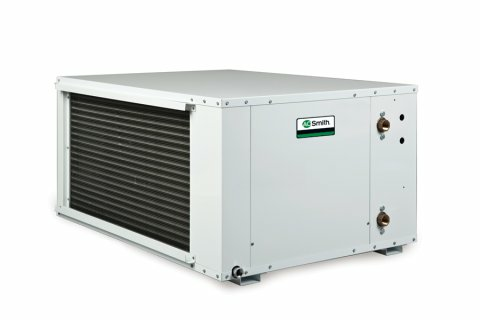 Based on installing an extremely efficient 87% oil furnace and the same heat pump performance data, the heat pump would still be cheaper to operate as low as -10F. Of course, you must worry about the output of the heat pump at that low ambient, and in order to feel comfortable you will need to calculate the Thermal Balance Point. If you decide to install a Propane tank you can realize the same efficiencies as the natural gas furnaces out there, but the increased costs in fuel/delivery could be even higher in than oil, even after including recent oil surges. As you can see, the break even COP for installing a heat pump add-on above a 96% Propane Furnace is only 1.07. This is even lower than the Oil application, proving the recommendation of a more thorough calculation into the Thermal Balance Point and investment costs for going to Dual Source.